Tusli or Holi Basil is a wonder herb that has been used for thousands of years in India. It has numerous health, skin and hair benefits. This article will cover some of the benefits of Tulsi in all three segments. A paste made of neem, hibiscus and tulsi leaves helps to deal with itchy scalps and promotes healthy hair. A mixture of coconut and tulsi oil massaged on scalp helps to cool down the scalp and reduces itchiness. It promotes blood circulation in scalp leading to strong hair follicles which in turn gives healthy and strong hair. 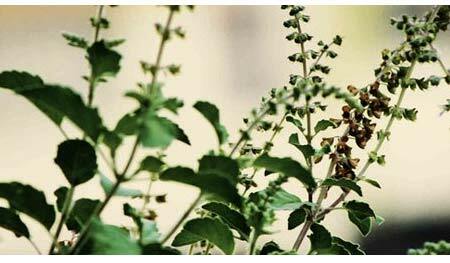 Tulsi paste applied on scalp helps to remove dirt flakes and dandruff. It hydrates the scalp, preventing the hair from becoming dry. The anti-bacterial properties of tulsi helps to fight pimples, acne and eczema. Drinking tulsi juice cures eczema and scabies. Chewing tulsi leaves helps to remove toxins from blood, which in turn prevents pimples and acne breakouts. A toner made by boiling tulsi leaves can be applied on pimples. This not only eliminates pimple but also smooth outs the skin, leaving a radiant glow on face. Scars and black spots can be removed by applying a tulsi and besan paste on affected areas. Tulsi’s antibacterial properties will prevent acne and pimple breakout and besan will whiten the skin removing black spots and scars. Ring worms can be cured using lemon and tulsi paste. 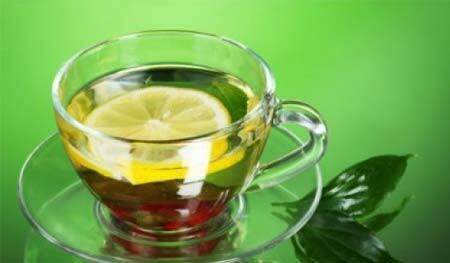 A mixture of honey and tulsi juice helps to naturally get rid of kidney stones by removing them through urinary tracts. Tulsi helps to reduce uric acid levels which generally cause kidney stones. Tulsi helps to reduce and fight blood cholesterol. Different antioxidants and vitamin C in tulsi helps to improve heart health and controls blood pressure. Tulsi helps to fight diabetes by controlling blood sugar levels. Tulsi prevents bloating, flatulence, constipation and acidity. It helps to improve appetite. The anti-carcinogenic properties of tulsi helps to fight cancer by stopping blood vessels responsible for feeding tumor cells. Neurological and inflammatory pain is reduced by the COX-2 inhibitor found in tulsi leaves. Camphene, Eugenol and vitamin C present in tulsi helps to remove lung congestions and helps to cure tuberculosis and damages caused to lungs because of smoking. Drinking tulsi extracts helps to soothe the nerves and this helps to reduce stress. The antioxidants present in tulsi helps to prevent premature aging by destroying free radicals that are created within the body. The list above is not an exhaustive list because there are numerous other benefits of tulsi which cannot be covered in single article! Read our post on 9 Amazing Benefits of Tulsi Tea.